The popular story about Thanksgiving is an environmental parable that we would do well to remember today. It was a harvest festival in 1621, participated in by the 50 (out of 100) survivors at Plymouth Plantation and 90 Native Americans. Some of these latter, such as Squanto, had shared with the white undocumented aliens arriving in Wampanoag territory their local techniques of fishing and corn farming. In some subsequent years there were droughts that threatened the colony. If the Pilgrims faced Coldworld and its weather and agricultural challenges, today we face Hotworld. Just as they looked to the Native Americans for cues on how to survive in that cold environment, we should look at indigenous peoples’ current environmental initiatives to understand how to avoid heating the earth more than the further nearly 4 degrees F. that we already certainly will. (4 degrees F. is a global average, including the relatively cold oceans, and some places will experience a much greater increase in heat than that). It is obvious that the US Federal government will be useless or actually pernicious on this issue for some years to come, so we have to do this ourselves. Today’s native Americans are fighting a wide range of human-caused climate crises or budding crises. There’s been relatively little coverage of it on corporate television news, but Native Americans of the Standing Rock Sioux tribe and their supporters in North Dakota have for months been protesting the Dakota Access Pipeline [DAPL] . They fear oil spills and pollution of their water supplies, a perfectly reasonable apprehension. What is worse, burning petroleum certainly causes climate change, and the more drilling and the more pipelines, the faster we cook everybody on earth. Despite the constitution’s guarantee of the right of assembly for peaceful protest, the local authorities and the corporations have conspired to criminalize these rallies. A few days ago, in the frigid weather, police unleashed water cannons and tear gas canisters on the protesters, leaving some hospitalized. The DAPL struggle is not the only one being waged by indigenous communities. The Sioux in South Dakota had announced that the Keystone XL pipeline for dirty tar sands oil must not run through their land, by treaty with the US. That pipeline project was denied by the Obama administration in 2015 after years of review. The Moapa Paiutes are celebrating the advent of solar power and the beginning of the end of coal power in southern Nevada. The Department of Energy says, “Located 30 miles north of Las Vegas, the 250-megawatt solar photovoltaic project is being built by First Solar and is providing jobs and training for members of the Moapa Band of Paiute Indians (Moapa Paiutes).” Some 25% of the workforce building the plant are themselves Moapa Paiutes. The Reid Gardner coal plant is indeed closing, in 2017, after the the tribe was paid $4.3 million because of its adverse health effects on them. The bulk of the money will be used for clean-up. The pilgrims in 1621 faced a harsher climate than had Leif Erikson when he came to North America around 980 during the European medieval warming period. From 1550 to 1850, temperatures in the Northern Hemisphere fell by an average of about 1.3 degrees F (1 degree C.), during what has been called “the Little Ice Age.” This fall in temperature was exacerbated in the 1500s and 1600s by a slight decrease in atmospheric carbon of 6 to 10 parts per million. Stanford University geochemist Richard Nevle has argued that the great die-off of Native Americans, who were exposed to European diseases for which they had no antibodies, contributed to this decrease of carbon dioxide and fall in temperature. They ceased burning trees for fuel, and the forests recovered, with millions of new trees absorbing CO2. We can drive to the homes of our family and friends for the dinner in electric cars or plug-in hybrids, fueled from the rooftop solar panels (which are falling steeply in price). If we fly, we can buy carbon offsets from the Nature Conservancy or eat vegetarian often enough to make up for it (solar-powered and biofuel-powered airplanes are around the corner). We can lobby our electric utility to turn to wind turbines, as Iowa and Texas increasingly have, which supplements the solar generation. A third of Iowa’s electricity comes from wind. Not all states are equally blessed with its wind resources. 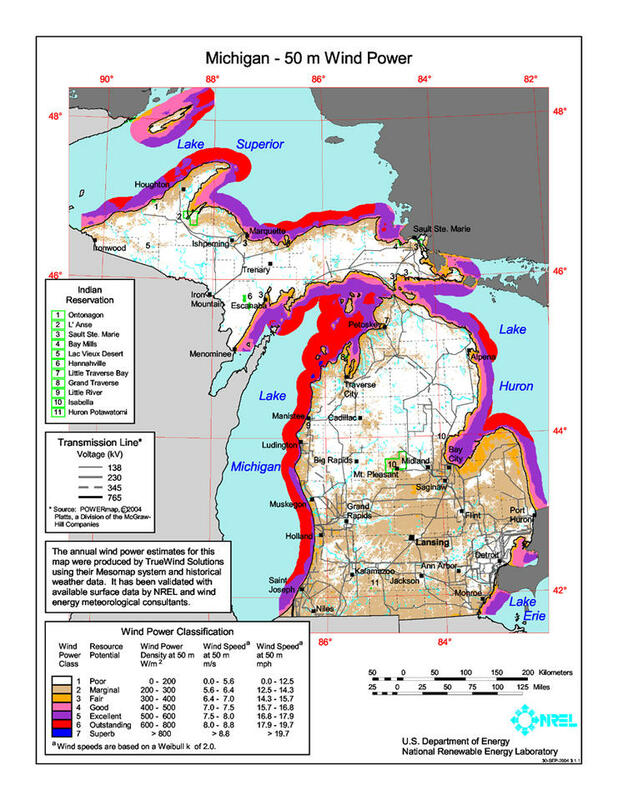 But Michigan, e.g., does have promising wind generation areas in the Thumb and on the Lake Michigan shore, which it has quite shamefully done almost nothing with.